For anyone not fortunate enough to be at a place with ESPN (NBA Draft Lottery and then Celtics/Heat) or ESPN2, ESPN3 (USA vs. Brazil “Friendly”) the NHL’s Stanley Cup Finals are about to get underway on NBC. The NHL’s playoffs up until this point have been thrilling and I’d expect this series to live up to that as well. I’ll touch on some of the key points of this series after game one tonight, but I’d like to throw my predictions out there before the game. Series Prediction: Kings in 6. Conn Smythe Trophy Winner (Playoffs MVP): Jonathan Quick, Kings. 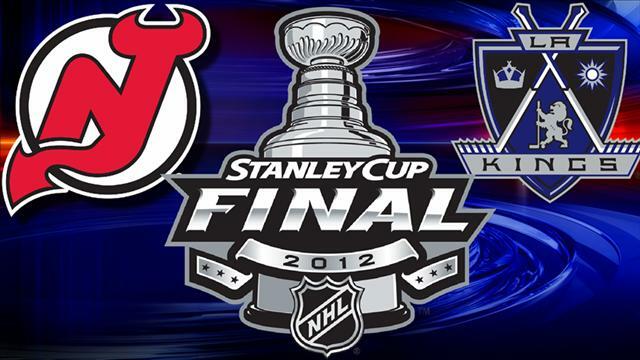 This entry was posted in Hockey and tagged Devils, Kings, NHL, Playoffs, Sports, Stanley Cup. Bookmark the permalink.